The Priority Health Champions offers Michigan residents a way to reach their exercise goals with the help of a fitness friend. Did you know that running in a group helps promote accountability, and can actually improve your overall time? You are less likely to cancel or quit. It’s easier to wake up at 5 a.m. or get off the couch after work to go running, if you have a friend to keep you on track. Workout groups keep you accountable and give you a reason to get moving. It creates a feeling of group camaraderie and all being in it together. Having a fitness buddy might increase your overall pace. Research shows that the positive peer pressure of group fitness works on a subconscious level, as cyclists and runners were recorded as having faster times by racing with someone rather than going at it alone. It can be much more enjoyable than just going for a run or working out alone. Besides the camaraderie of setting and reaching fitness goals with friends, group fitness is also a healthy social activity that can become part of a weekly routine. 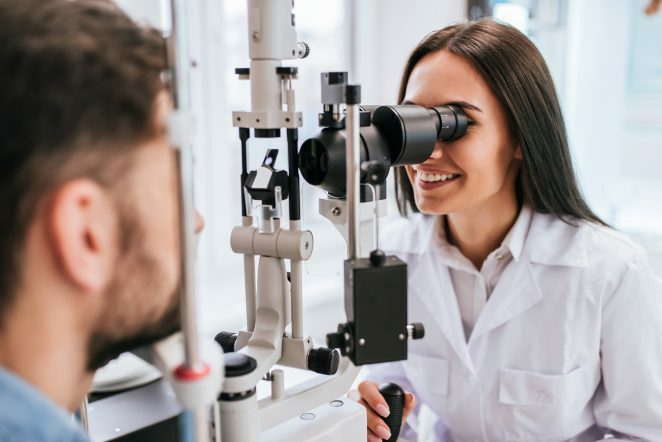 Every year Priority Health looks for people in the community who maintain healthy lifestyles, or who are simply looking to start practicing healthy habits and make a positive change. These achievers encourage the people around them, making them a solid candidate for Priority Health Champions! Champions aren’t always bodybuilders or marathon winners – they’re everyday people making great choices. Priority Health Champions include people of all fitness levels; many of them have been running triathlons for years, while others are tackling their first 5K. 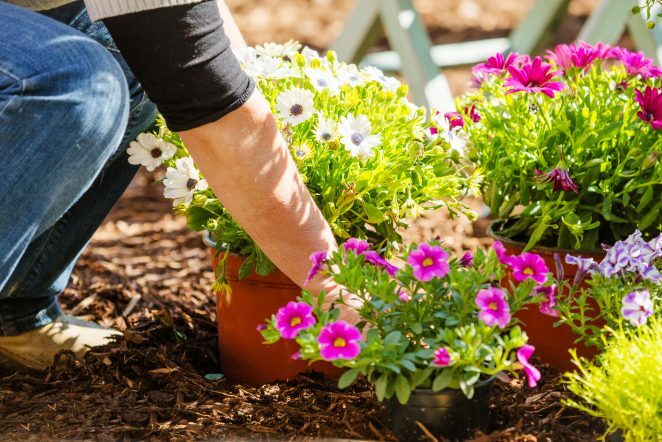 Sometimes a little motivation can be the difference between achieving a desired lifestyle or staying in neutral. Joining Priority Health Champions can be the support you need to keep going. And, if you are looking for a fitness buddy, this is the great way to meet one! 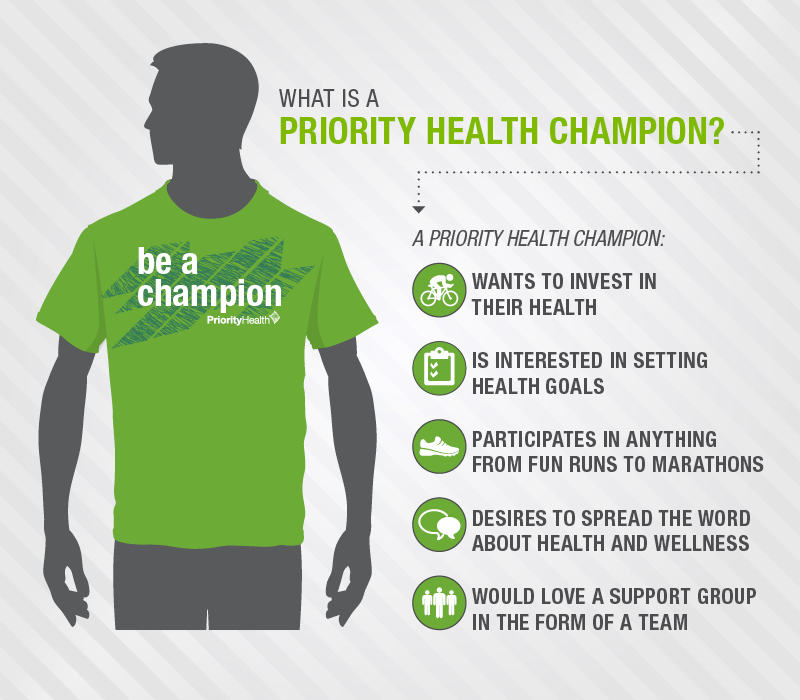 If selected as a Priority Health Champion, you’ll receive a stipend to use toward a variety of race entrance fees, as well as awesome team gear. The Champions program is open to everyone, not just Priority Health members. Starting on January 1, you’re invited to complete this short application and share why you’re looking to improve your health, inspire others and set new fitness goals for the upcoming year. This year, kids can be signed up, too. 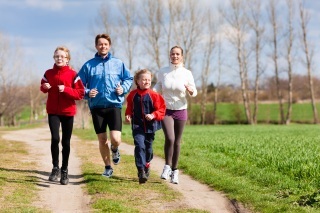 Children who exercise regularly are less likely to become overweight and learning to enjoy fitness early in life can promote a lifetime of wellness. There are kid-friendly races including 5Ks and mini triathlons throughout the state. If changing your life or continuing healthy habits is important, consider applying to join a team with people looking to accomplish their goals – just like you. The Priority Health Champions program is a group of people all focused on getting and staying healthy while inspiring others to follow suit. This program is open to everyone who has a passion to be and stay active and healthy. Champions are a close-knit group of people across the state of Michigan who come together to compete in races and walks and share insights on how they’re living healthy lifestyles. To learn more about the passionate people that make up the Priority Health Champions community visit the website at teampriorityhealth.com.